Game of Stone: A Novel in the Alastair Stone Chronicles (English Edition) bei ZUM KAUFEN Online Shopping machen. 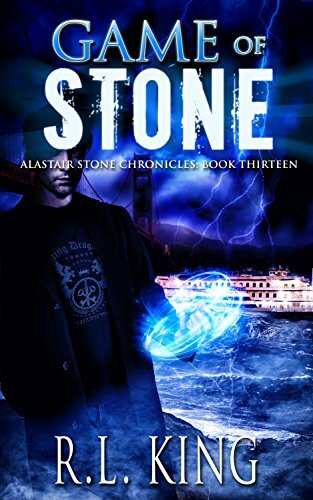 Alastair Stone needs a break. He’d gladly trade a big chunk of his newly-acquired fortune for a few uninterrupted weeks of rest, but that’s not going to happen. On top of dealing with his new magical status and a relationship heading in unexpected directions, he soon learns the bombshell revelations about his family aren’t even close to over yet. As if all that weren’t enough, an ancient and malevolent set of magical game pieces has resurfaced, leaving a trail of murder and mayhem in its wake. Stone must join with some unlikely allies, including a mundane cop and an all-female vigilante gang, in a desperate race to gain the upper hand before thousands of people are dead. In this game, losing is not an option.